This is a cross strain of the Trinidad 7 Pot Douglah and the Red Bhut Jolokia. It produces very bumpy rough looking red pods that have extreme heat. It has a very upfront fast burn but a sweetness from the Naga at the end. 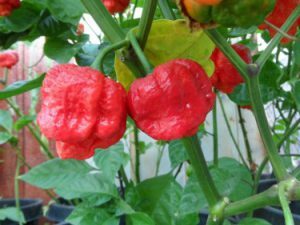 They are very prolific and sometimes produce better than regular Bhuts or Nagas. The Nagalah peppers get up to 3 inches long and about maximum inch in diameter. The Nagalah chile plants grow up to 4 feet tall. This is a cross strain of the Trinidad 7 Pot Douglah and the Red Bhut Jolokia. Also sometimes called Nagalah. This is the brown variant. 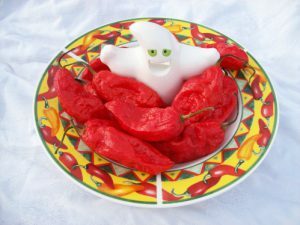 It was created by the Chile Pepper Institute at New Mexico State University. It produces very bumpy rough looking brown pods that have extreme heat. It has a very upfront fast burn but a sweetness from the Naga at the end. 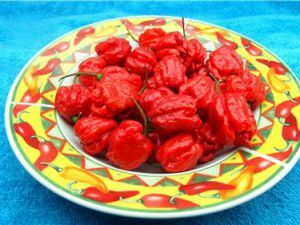 They are very prolific and sometimes produce better than regular Bhuts or Nagas. 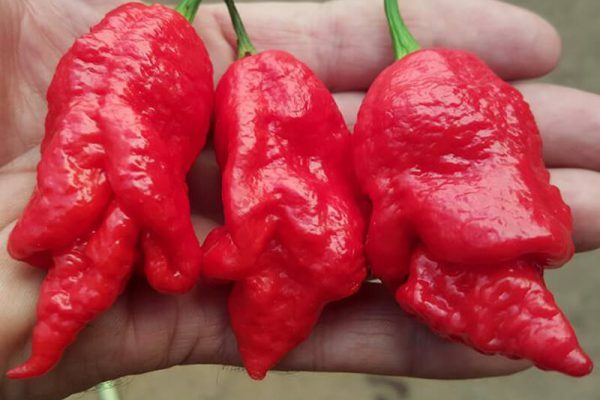 The Naglah peppers get up to 3 inches long and about maximum inch in diameter. The Nagalah chile plants grow up to 4 feet tall. 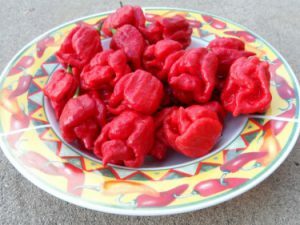 The Naglah Red is a cross between the Bhut Jolokia and the 7 Pot Douglah created by the Chile Pepper Institute at New Mexico State University. It is smaller and different than the Bhutlah. 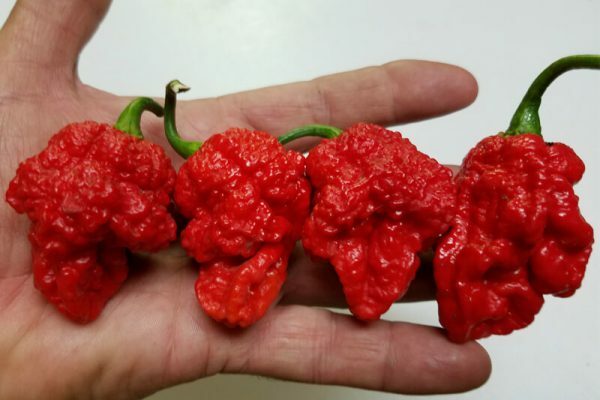 Now in our 2015 growout we had two plants that gave us totally different shaped peppers. 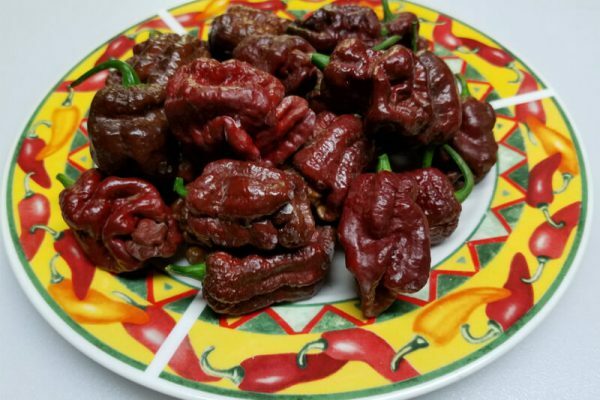 These peppers were kind of mushroom shaped instead of elongated and very bumpy. They resemble a mini MA Wartryx. The heat is very high like a Scorpion. We hope it stays consistent because it’s a cool looking pepper. We named it the Naglah Beast as it seemed a good name. We did not create this pepper from scratch. To us it is an oddball variant. The Naglah Beast grows between 3 to 4 feet tall.